With another Classics Spin well underway, it’s time to discuss that age-old blog question: What makes a book a classic? It’s one of the more provocative and unsolvable questions in the literary community. Like an argument over whether or not a book is worthy of five stars, it’s a hopelessly subjective and seemingly pointless affair. But these discussions continue to rage on, and here we are, talking about it again. Why? Because it’s delicious. Like the proverbial cake that could very well lead to a heart attack, we shout “consequences be damned!” and maniacally devour it. 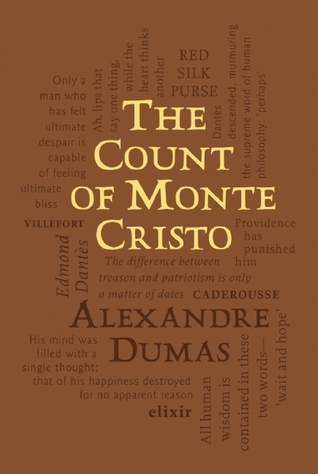 It’s possible we keep circling back around to it because there are only a few places where a discussion like this one is worth much of anything: a classroom, a bookstore, and a blog with a connection to the Classics Club. To help me get to the bottom of this conundrum, I searched far and wide for advice from the wisest sages: Italo Calvino, Ezra Pound, Chris Cox, Charles Augustin Sainte-Beuve, Mark Twain, and five “normals” from the literary community. He seems to me to be echoing Mark Twain’s caustic definition from a century earlier, when Twain said that a classic book is “something that everybody wants to have read and nobody wants to read.” Classic Twain. Cox’s definition sounds relaxed enough for two groups of classics: those our society has agreed upon (i.e. the supposed “canon”), and those we ourselves decide upon. But doesn’t this second definition somewhat defeat the purpose? The idea of a classic implies something that has continuance and consistence, and which produces unity and tradition, fashions and transmits itself, and endures … A true classic, as I should like to hear it defined, is an author who has enriched the human mind, increased its treasure, and caused it to advance a step; who has discovered some moral and not equivocal truth, or revealed some eternal passion in that heart where all seemed known and discovered; who has expressed his thought, observation, or invention, in no matter what form, only provided it be broad and great, refined and sensible, sane and beautiful in itself; who has spoken to all in his own peculiar style, a style which is found to be also that of the whole world, a style new without neologism, new and old, easily contemporary with all time. If that’s too convoluted, you might want to go with the simplest definition I’ve seen, from Mark Van Doren, a Columbia University professor and poet: “A classic is any book that stays in print.” In our current society of consumption, it’s not the worst strategy in the world. No good literary discussion is complete without referencing what strangers are screaming at each other on the Internet. Thus, I give you what’s being said on Goodreads. Mary: “I think any book that causes me to look at the world in a different way is a ‘classic’. For example, Life of Pi, Extremely Loud and Incredibly Close, What Is the What, and Disgrace are all classics because I was profoundly moved by them. The basic definition I’ve been taught in courses states that a classic is a text whose popularity has endured the test of time. While I like this definition, I definitely think it lacks complexity. If a book is still being read a century after it was written simply because decades of professors have assigned students to read it but no one actually enjoys it, should it still be considered a classic? It’s so difficult to create a definition that isn’t subjective! This is an important point! So many classics have endured because of the intellectual elite (i.e. professors, high-minded critics). But if these books aren’t being “enjoyed”–Ulysses or In Search of Lost Time come to mind–then how classic are they, really? I would argue that most classics would have largely fallen out of favor if allowed to. It seems like it’s become socially unacceptable to rag on Mrs Dalloway. But if it wasn’t … would people still read it outside of colleges? I’m not sure. I’m just here to comment on the picture… there’s an edition of Wuthering Heights with an introduction by S.E. Hinton???? That is very random… though I guess Heathcliff is a greaser and the Lintons are socs…. Great post. When you were addressing the subjectivity of the criteria for a classic, I thought of authors and rhetoricians, like Edmund Burke and Hugh Blair, who have explored the idea of taste as a concept which could be defined and, therefore, refined. The trickiest part of this discussion is how subjective it is. The rules will be different for everyone, I think, because the things we value change person to person. The books I think should stand the test of time will be different than yours, or Laura’s, or Holly’s, etc. Taste is a tricky thing to bring to this topic. The more I think about it, the more it has to be the books that “stand the test of time.” But how long is the test of time? And does it matter when these books are standing the test of time simply because English professors push them in their classes? Isn’t a book more valuable if it survives organically, through word of mouth? This is all just circles inside of bigger circles, haha. Poignant point. At the time it was published, The Scarlet Letter was barely read. But some scholar at some point deemed it canon-worthy. Yet we’ve likely never even heard of the popular books at the time. There’s always this tension when deeming things classic between “lowbrow” and “sophisticated” art. Lowbrow art grows “organically” but may or may not belong in the canon–despite its popularity, 50 Shades of Grey doesn’t belong. However, lowbrow art must be regarded seriously to some degree because it reflects some aspect of our culture. 50 Shades is widely read, but it will (ideally?) die out soon. Then there are books like, say, Dune. Dune is not going to be taught in many university classes, but it’s still incredibly popular 50 years later. It clearly has a lot to say to generation after generation. That’s the true measure of a classic, I think.